Our theme lets you have a complete shipping carriers marketplace website within minutes. Fully featured and complete package. Turn key solution for your needs. ShipMe Theme for WordPress is the original and #1 theme on the internet, that allows you to setup a carriers/shipping marketplace website or simply a transporters website. The main idea behind this concept is to have a site where people would post their shipping needs (various items) and transporters post proposals about the tasks and do the transportation for them. A perfect turn key solution to launch a deliveries/transporters website in minutes. The real world examples of the success of this type of site are: uship.com and many other niche carriers/deliveries sites. 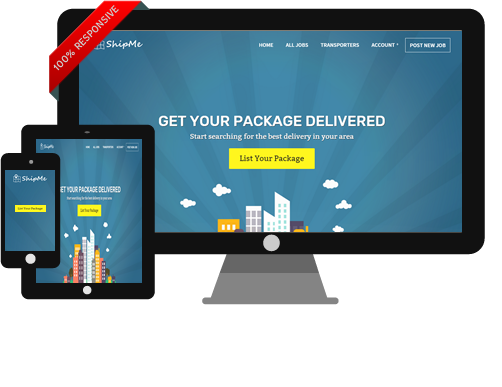 With the ShipMe theme for WordPress you will be able to launch your website within minutes. We also have tight integration with various free plugins, like the page builder for controlling the pages from within the admin area, and minimizing the need to code. Also for developers we have a well written code for edits and great enhancement. The theme comes with complete pages for user accounts, login and register screens, payment pages, monetization tools, multiple payment gateways and everything you need for your site to make money out of your niche business. Our theme works well on any kind of device. From desktop computers, laptops, to tablets, smartphones, and any type of phones. The theme design will stretch our or shrink automatically to fit your screen size and device. Also the responsiveness can be turned off if you wish to. To see an example of how responsive design works with our theme, see this. With the ShipMe Theme you can charge a percent fee (or flat fee) out of each job/item that is transported through your website. This can be taken directly through PayPal (using adaptive chained payments) or through the credits system, or maybe through some other payment method that we can integrate. 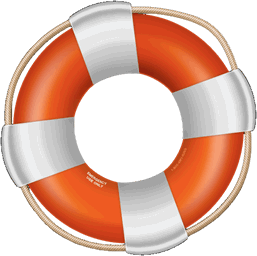 This is a great monetization tool for increasing the profits of your website. Shipping Carrier and Job providers rate each other after each completed job and each user has his own general feedback for the other users to see. Then the rating of each user is displayed next to their username by little 5 star rating icons. Also the rating is displayed in user profile and in bidding tables. PayPal payment system is one of the most used payment systems in the world. Our theme also supports the new PayPal Adaptive and Delayed Chained Payments. Very easy to use, just put your PayPal email address in the back end and start collecting payments. Plug and play feature. With the credit system there is also an escrow feature that comes with the ShipMe Theme. The idea is the job owner/poster will deposit virtual money into escrow for the bid winner, until he completes the transport/shipment. After that the escrow is released. And the bid winner, will have the funds in his account, ready for requesting a withdrawal from the admin of the site. Your users get email notifications, when they bid, they get outbid, when they get new proposals posted for their project or when they receive private messages. The theme has email notifications for shipping carriers, when they have received payments for their shipping services. The best feature here: shipping carriers can signup for certain categories and they can get an email notification when a project is posted in their interest area. This tool will help your shipping carriers and job providers, to better communicate through a safe system without revealing each others personal information, and keep all activity under your website and also keeping you in control over the transactions. You are in total control of the private messages, and you can moderate from your administration area. The ShipMe Theme supports the latest version of WordPress. The theme has been tested in wordpress 5.0.2 and works flawlessly. Also each time we keep the theme up to date with the latest wordpress versions. Usually we launch an update each month. If you do not like the default layout we provide we can integrate any preferred layout of yours. We can integrate any other external wordpress theme as a child theme and keep the same features of the ShipMe Theme. Contact us for a price quote and we can get you on the right track.